Open call for the main exhibition of the 7th Tallinn Applied Art Triennial was closed October 10th. 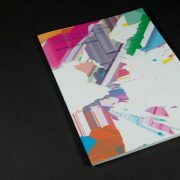 256 works/series of works were submitted altogether by 243 artists/designers from 32 countries. 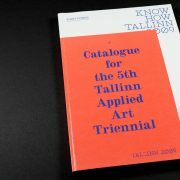 In the coming days an international five-member jury is going to gather in Tallinn to select the works for the main exhibition amongst the submissions. Members of the jury are an art critic and editor André Gali from Norway, an artist and educator Sarah Gilbert from USA, a philosopher, critic and lecturer Eik Hermann from Estonia, a gallerist, writer, translator and lecturer Keiu Krikmann from Estonia and a jewellery artist and lecturer Eija Mustonen from Finland. The selection of the works is anonymous and the applicants will be notified about the jury’s decision by 21 November 2016. Individuals and groups from all fields of applied art and design were invited to take part in the open call for the main exhibition. Works in both digital and physical form that deal with topics relating to time, tempo, different notions of time, and approaches to time were welcome. The main exhibition of the Triennial on the theme “Ajavahe. Time Difference” will take place from 21 April 2017 to 23 July 2017 at the Estonian Museum of Applied Arts and Design in Tallinn, Estonia.